The MISSIONARY IN TRAINING (or “MIT”) program is a comprehensive but flexible plan to help family members to be current member missionaries as well as to prepare for future full-time missionary service. We all desire to train our children (now – more than ever before) and we know that we need to do it. The challenge is to commit to it and to know how to do it. This program gives a plan – a vision – and the focus to do it through your own Home and Family Missionary Training Center. 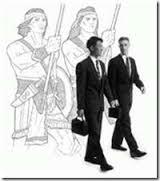 To create a family expectation or tradition of missionary service. To get family members – children and even teen-ages (both male and female) excited and involved in missionary work and to commit their involvement. To get teenagers – Aaronic Priesthood holders and Young Women – involved as teacher/trainers as they participate in the program as “Ammonite Trainers” – with the goal of getting them comfortable in the role of teacher for their future missions, by giving them training assignments for each weekly training session – wherein they can plan, research, present and testify to other family members. To help Aaronic Priesthood young men and Young Women to fulfill requirements and complete requirements for Duty to God and Young Women Recognition awards as they “learn, act and share”. Utilizes “Preach My Gospel” and other current resources but in a simplified manner so that children and youth can understand and enjoy it. To teach and train the children relative to the “How and What” of missionary service. To have a master family training plan to include study sessions (AKA: home evening), missionary preparation activities, service events and training lessons focused specifically on missionary service and preparation. To build testimonies and to help children to make and keep sacred covenants, including baptism; to receive additional priesthood ordinances as they are eligible for them, and ultimately to get them to the Temple. To strengthen extended family ties as older cousins (without siblings), aunts, uncles and grandparents are involved occasionally as guest trainers. The program is not designed to be new tasks to be added to an already “too busy” life. It is to be incorporated into current family and home plans and objectives – but has an expanded vision and focus on missionary work. To get family members to commit to being missionaries NOW by inviting “Friendshipping Families” to join with yours in missionary preparation activities, service events, special conferences, and church and community events. Families commit to a long-term plan for missionary training and preparation for their own children of all ages. The family creates an organization and a master plan to accomplish the long-term goals and objectives of missionary service now and in the future. Parents, home teachers, grandparents, siblings or others commit themselves to be full-time missionary trainers of their own HOME AND FAMILY MISSIONARY TRAINING CENTER for all of the children in the home. The children are taught of the missionary function and their current and future service opportunities. 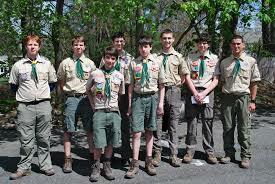 Each child also commits to long-term mission preparation missionary preparation activities and instruction. The children complete a “Future Missionary Application” and anticipate being “Called to Serve”. 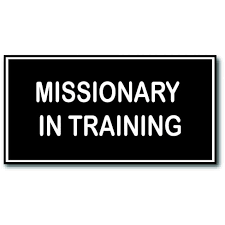 Weekly “Missionary Study Sessions” (AKA ‘Missionary Preparation Classes or Family Home Evening) are planned to develop each “Missionary in Training” in the Home and Family MTC. Families have a special breakfast or other planning event to plan out a quarterly or annual program of training sessions, missionary preparation activities, service events, special mission conferences together. Use the MIT Sample Calendar as outlined for the initial three months of program participation but put specific dates to each training or activity. Kevin Hunt is the compiler of the home and family “Missionary in Training” Program. This is a comprehensive program for parents to use to train their children for their upcoming missionary responsibilities and opportunities. This article is from the MIT package.